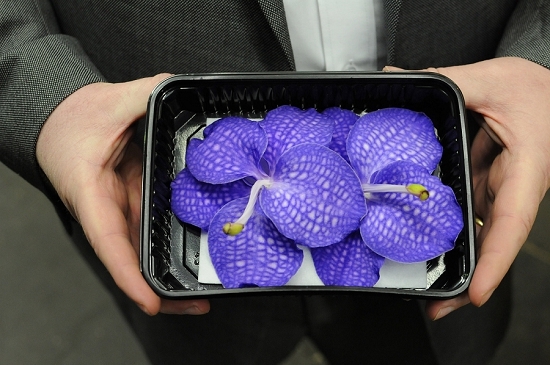 Koppert Cress are experts in the weird and wonderful – tasty edible plants from across the globe, marketed under the banner 'Architecture Aromatique'. Their range includes two dozen micro cresses, sold as living plants in the punnet, and specialties such as Anise Blossom, Majii Leaves, Dushi Buttons and Salty Fingers. "They’re always experimenting with something new," says Tom Crump at Worldwide Exotics, one of their two wholesalers here at Covent Garden alongside C & C Exotics. I made the journey to Koppert Cress' high-tech farm near Den Haag in The Netherlands for a fascinating insight into this trailblazing company, which has grown five-fold since 2002. "We’re getting into greenhouse country," explains Joan Van Loon, their UK representative, as we slowly drive through flat Dutch countryside. Joann regularly flits across the Channel, working closely with her wholesalers at the Market and other customers. Much of her time is spent with the chefs, caterers and bar managers, encouraging them to taste and experiment. 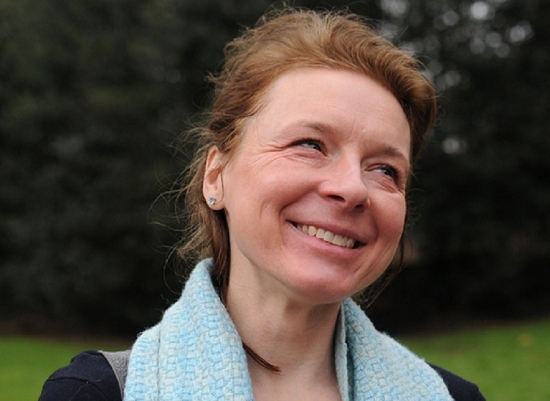 "For the last two years I've been living, eating and breathing cress," she says. "Each of them has a personality that you can remember." 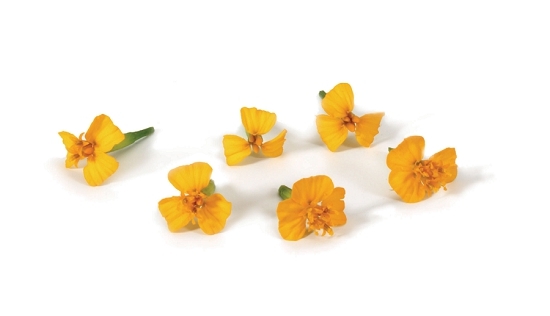 Koppert Cress sells across Europe and beyond and also run a subsidiary on Long Island in the USA. New products regularly come on stream. Recent introductions include Vananco Leaves, a type of edible orchid. As I tour the greenhouses, I notice their research and development department, which is firmly out of bounds. This is where new plants are trialed and tested – the secret epicenter for tomorrow’s gastronomic trends and flavours. 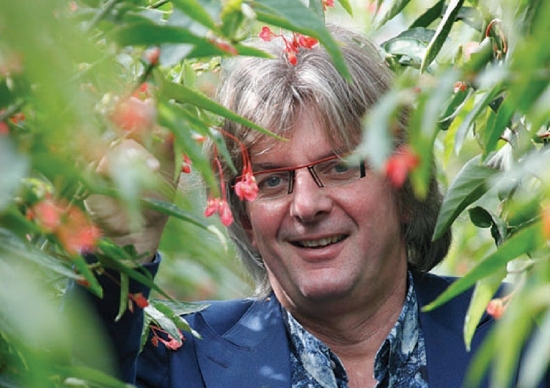 The Koppert Cress boss, Rob Baan, has a background in the international seed trade and a high profile in The Netherlands. "He's the Willy Wonker of plants," Joann explains. 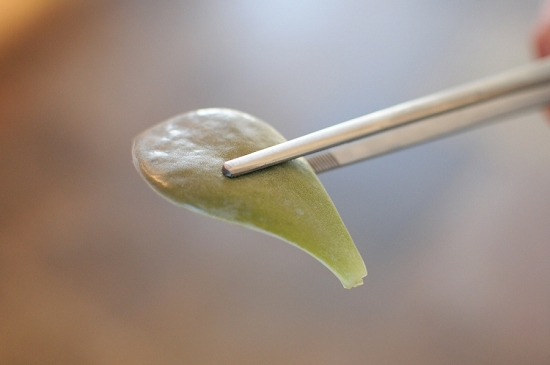 The team invests a lot of time in exploring the culinary potential of each plant. “There’s so much more you can do apart from putting them on top of things,” explains Joann, with a hint of exasperation. Working with chefs, she experiments with marinades, drizzles, syrups, powders, infusions and more – even injecting succulent Majii Leaves with citrus- flavoured liquids. "It suddenly becomes a fresh, green petit four when you dip it in a kumquat syrup and sprinkle some raw cane sugar on top." She recently tried a chef's "wonderfully refreshing" scallops baked in the shell with slow-cooked leek and shiso cress, sealed by a lid of puff pastry. Another favourite is a pesto she makes with borage cress, mixed nuts, onion and crumbled halloumi cheese. 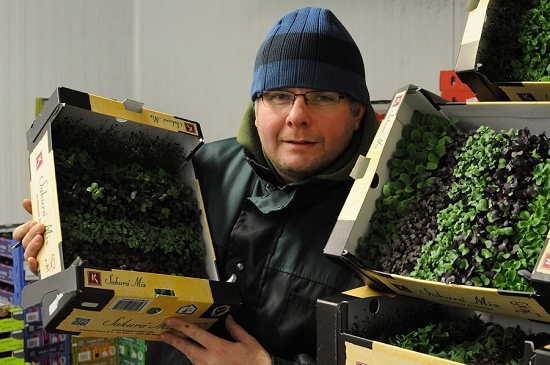 Logistically, Koppert Cress run a smart system, sending produce on the same trucks used to distribute everyday Dutch produce from other growers, such as tomatoes, cucumbers and capsicums. They piggy back on these larger bulk shipments, keeping their carbon footprint to a bare minimum. 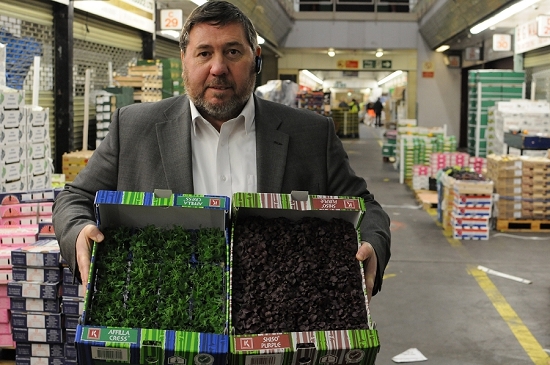 Back in London, Joann's two wholesalers at Covent Garden stress that Koppert Cress still lead the market, despite the emergence of several UK competitors in recent years. "They have a diverse range of products completely different to anyone else. They are never just standing still," says Tom Crump, director at Worldwide. "A lot of people have gone on to other products but they keep coming back," explains David Piper at C&C Exotics. "Competition is good – it keeps people on their toes." The interest in micro leaves and demand for this type of innovation is growing, with UK product coming from Westlands and WOW! Micro Leaf. Companies here at the Market are always keeping an eye out for the next upcoming trend.